Dr. Ashutosh Shukla is Best Family Physician in Sector 51 Gurgaon and has expertise Typhoid Treatment in Sector 51 Gurgaon. Dr. Ashutosh Shukla is Best Physician in Sector 51 Gurgaon and Provides Diabetes Management in Sector 51 Gurgaon. with Lazoi(R) Lifecare Private Limited. Lazoi is an online Health portal connecting patients with Healthcare service providers 24*7. As a well known General Physician and General practitioner, his area of expertise includes Infectious Diseases, Diabetes, Rheumatology, Geriatric Medicine, Lumbar Puncture, Intubation, Pleural Aspiration & Biopsy, Ascitic Tap & Biopsy, Bronchial asthma & Bronchitis and Bone Marrow Aspiration & Biopsy. Patients from all around Gurgaon Sector 51 and entire Gurgaon come to Dr. Ashutosh Shukla with lots of hopes and the doctor ensures that the patients are fully satisfied with the treatments, with his expertise and the techniques he uses as a Family Physician. Dr. Ashutosh Shukla has completed his education mainly from Delhi. 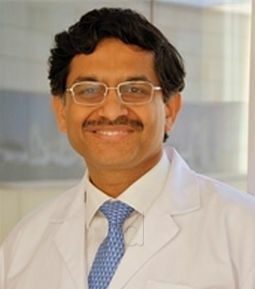 He did his MBBS from Maulana Azad Medical College, Delhi in 1987, MD (Medicine) from Delhi University in 1993 and Fellow of the American College of Physicians in 2013. Currently, he is practicing as a Physician in Sector 51 Gurgaon. He has also been the member of some prestigious organizations like American College of Physicians, Association of Physicians of India, Diabetic Association of India, Indian Medical Association and Celiac Society of India. 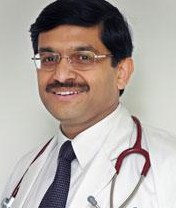 Dr. Ashutosh Shukla is a well known Physician in Sector 51 Gurgaon. General Check-up : A general check-up is a comprehensive medical examination that is recommended to be done for the control of chronic diseases. Blood Pressure : Blood pressure is a condition in which the force of the blood against the artery walls is very high. 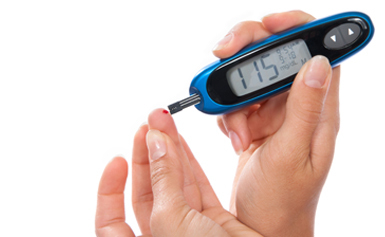 Diabetes Treatment : Controlling blood sugar through diet, oral medication or insulin is the main Diabetes treatment. Fever : Fever is known as having a body temperature above the normal range due to an increase in the body's temperature set point. Hypertension : Hypertension is a medical condition in which the blood pressure in the arteries is persistently elevated. Infectious Diseases : Infectious diseases are the disorders which are caused by organisms such as bacteria, viruses, fungi or parasites. Liver Diseases : Liver Diseases is any condition that damages the liver and prevents it from functioning well. Sleep Disorder : Sleep disorder is the changes in sleeping patterns or habits that can negatively affect health. Thyroid Disorder : Thyroid Disorder is any dysfunction of the butterfly-shaped gland at the base of the neck (thyroid). 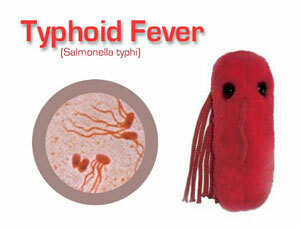 Tuberculosis : Tuberculosis is a potentially serious infectious bacterial disease that mainly affects the lungs.